Organized the first Tea Party response, by Michelle Bachman, to the State of the Union. Thanks to your dedication, passion and generous support, together we were able to make a real difference in the political landscape of this country in 2011. 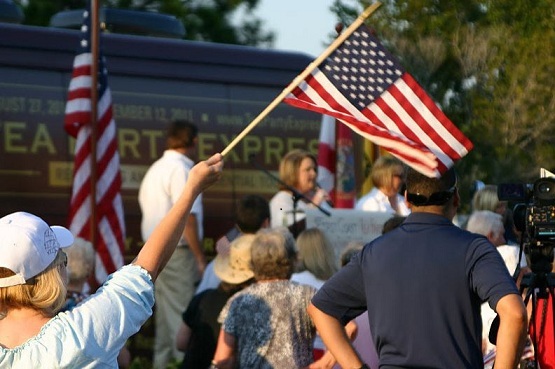 As the Tea Party says goodbye to 2011 and we enter into 2012 strong and unified, we must remember all that we have done together and remain unified. Our power and influence scares the political establishment on both sides of the isle, the mainstream media and the business-as-usual crowd – that is why they attack and try to discredit us! 2012 is going to bring the election and fight that we have all been preparing and waiting for and we need your continued support. In 2012, we here at the Tea Party Express are committed to work our hardest to defend Governor Walker against the union-led recall, to maintain control of the House, to take control of the Senate, and to make Obama a one-term President!